http://www.nitroxholland.com Vincent Schutte. Here follows a short report on the dive I made with the Optima. 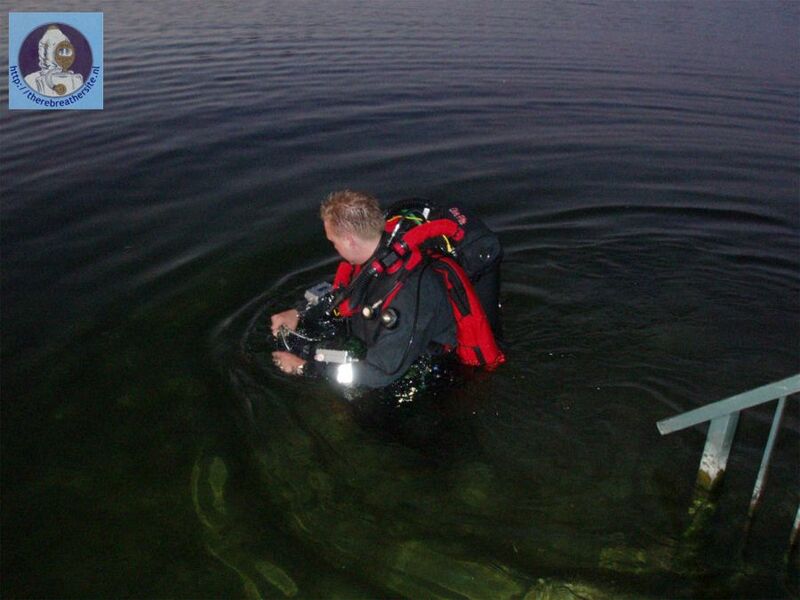 The Optima is an eCCR, which means that it is an electronically controlled rebreather. The Optima is in the same market as the Inspiration, but is a completely different unit. When I picked up the unit, it was completely disassembled. For a moment I almost forgot to take the scrubber with me. The scrubber has to be one of the most striking features of the Optima. 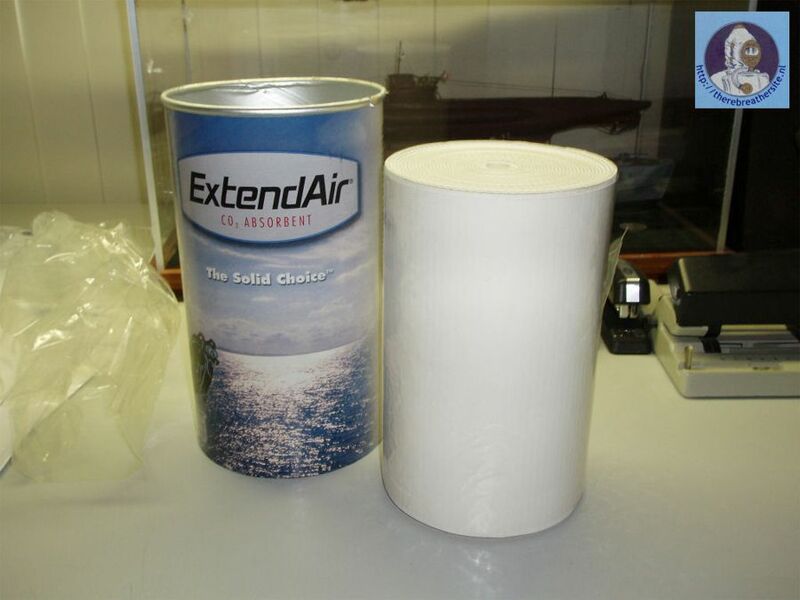 In stead of having to fill the scrubber with citty litter, the scrubber of the Optima is pre-packed in Extend-air cartridges. These cartridges can be opened and placed directly in the scrubber. First, I have to assemble the scrubber and the electronics. The Optima uses the Jeurgensen Marine Hammerhead as controller. I already knew the Hammerhead from the Inspiration world where it is commonly used as a replacement for the standard Inspiration electronics. The Hammerhead is a very good electronics package, but also has some problems. The Hammerhead chews up batteries and you need to use the best batteries out there. The Hammerhead on this Optima is version 7.06 that is known to reboot. The oxygen-injection that follows on a reboot has been solved in version 7.07. I also found that it really takes some time before you can quickly read over the handsets. There are lots of numbers on the handsets, but nowhere is stated what such a number means. In all honesty, I have to say that it only took me a couple of dive minutes, before I knew exactly where everything was. It`s hard to mix up depth and time when time is shown as 0:04 and depth as 04. Though you have to look into the menu to see if the depth is in meters or in feet. Meanwhile, these problems have been solved with the new Hammerhead version 8.06. Numbers are now accompanied by text and some functionality has been added concerning the battery problems. All new Optima's are delivered standard with this new Hammerhead version. The menu of the Hammerhead is also reasonably complicated. The menu of the VR3 is even worse, but the Hammerhead menu is a world away from what I`m used to with my Classic Inspiration that only shows PO2 values and total on time. Having said that, the menu is constructed very logically and if you take the time to play around with the handsets for 2 hours before your first dive, you'll not only be able to read the handsets very quickly, you'll also be able to find everything in the menu. Now that the scrubber has been assembled, it's time to put the rest of the rebreather together and test if everything is working. Putting the Optima together went nice and quickly, except that the hoses on the loop have opposing thread which I didn't notice immediately. The Optima is thus built relatively idiot-proof as you can't simply change loop direction or hook up hoses entirely wrong (not including worse idiots than me). The Optima is also built in a modular manner. If you would like to use a different harness, than you can simply change it. If you want a different back plate, that's also possible. You can hook-up the actual rebreather to whatever back plate/harness/wing configuration you want. Although, I really like the back plate and harness the unit came with. The harness could have used slightly larger bands to ease getting into the unit on a rocking ship, but for the rest it was very comfortable. I did have issues with the routing of the inflator hose. That really got in my way and I would have really much appreciated having that further to the outside. I also noticed that the cables from the secondary and the DIVA (HUD) ran precisely along the handle used to lift the unit. Not a really nice place to have those cables as I don't think they can lift the unit. It's time to go diving. I called a dive buddy of mine, Stephan Leushuis, to make this dive. His instructions were nice and easy, as with all my OC buddy's. If he's in doubt, send me to the surface. I then showed him all 4 inflator buttons he could use to get me positively buoyant. Nice detail is that you can simply press the diluent inflator, but you have a sliding button for the oxygen. That way it's much more difficult to accidently inject the wrong gas into the loop. Time to really go diving. As I walk into the water, I keep pre-breathing (breathing the unit on the surface to test if there's CO2 leak) and keep a close eye on the PO2 values. A final 02 flush to give the calibration a final check and it's off we go. Perfect! First we remain at 2 meters for a small minute. That gives me time to go over the Hammerhead and listen for bubbles (Stephan will be doing a bubble check at the platform we're headed to). Everything seems fine and off we go. The Hammerhead keeps an almost perfect PO2 and after a short swim we arrive at the platform where I can practice some drills and Stephan can do the bubble check. The drills go nice and smooth. 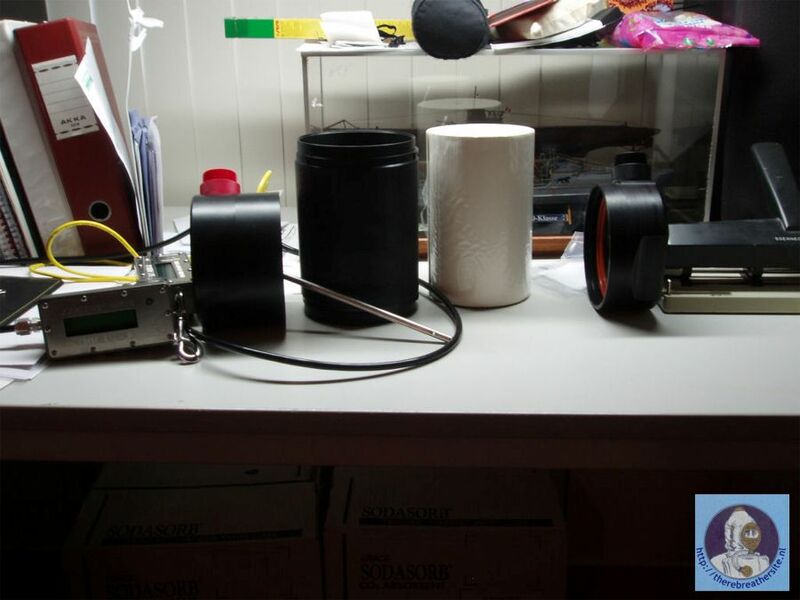 Loss of O2, stuck solenoid, partial loop recovery. Every thing is well. I have to say the Hammerhead gave me a scare. The two handsets are totally independent and they seem to pick a PO2 value and display that for 2 seconds or so. But this means that during an 02-flush the primary read 0.6 bar PO2 whilst the secondary was already up to 1.0 bar. It's not a real problem, but it is something you should be aware of. In general the Hammerhead out performs my Inspiration on all counts. It can easily take my Inspiration 1 or 2 minutes to reach a stable PO2 of 1.3 bar after switching from 0.7. The Hammerhead picks it up almost instantaneously. I had already noticed this during pre-breathing as the Hammerhead went to a stable 0.7 bar very quickly whilst my Inspiration also takes it's time to reach a stable PO2 during pre-breathing. After about 25 minutes I was through with my drills. I just really needed to test the dive, so we went a couple of meters deeper where I pushed the PO2 up to 1.8 bar. I immediately felt my mouth vibrate. A warning really doesn't get more personal then that. The Optima is a very nice rebreather. It lies very comfortably in the water and can easily be adjusted to your own wishes. 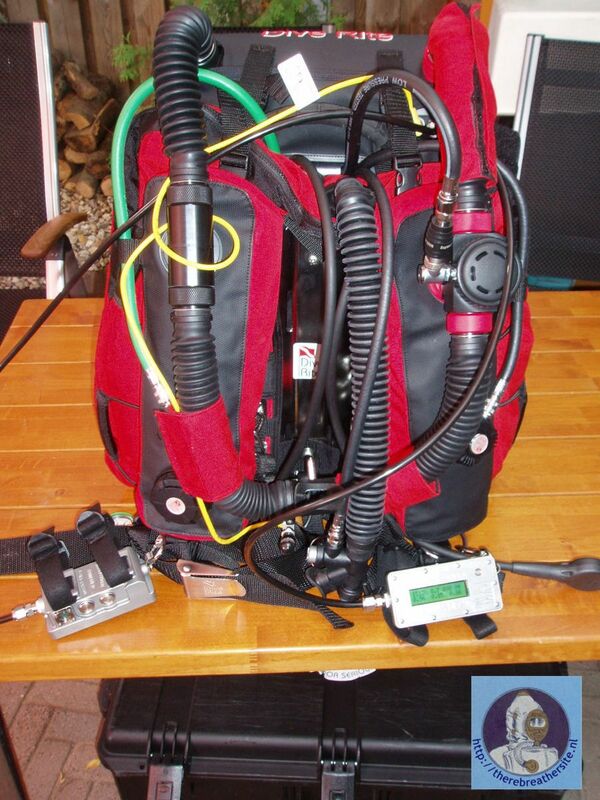 The Optima is delivered standard with a side mount system, which is very nice if you need to take stages with you (which every rebreather diver out there does). The Hammerhead takes some getting used to, but once you've reached that point it offers a lot more than other controllers, though I'm very curious about the new Shearwater Deep Pursuit. This Optima still had 7.06. Meanwhile 8.06 has been released which has tackled the problems of previous version. The handsets now have text on them, the battery problems have been dealt with and some new features were added. For example, the secondary know also has deco information. The big question (at least for me): Would I want one? The problem, as always, are the finances. I'm still a college student and at present I'm diving an almost 10 year old Inspiration that I was able to purchase for a decent amount. A new rebreather is too much for me right now. Other options for the Optima are the Inspiration that is available with several different electronics. The vision really isn't my cup of tea. I like to have physical redundancy, not just electronically. The classic just can't offer as much as the Optima. The Inspiration can also be equipped with Hammerhead or Deep Pursuit electronics. So then you have to look at the rest of the rebreather. I found the condensation after the dive to be a lot less in the Optima. You can keep on diving with an Inspiration with a half-filled scrubber, but you can't get empty the loop. With the Optima, like the Megalodon, you can recover from a partial loop flood. A major plus when compared to the Inspiration. Also design details such as the left-handed thread, mouthpiece without o-ring and oxygen slide button are very nice qualities of the Optima. The Megalodon is also an option, but, like the Ourobouros, it's a lot more expensive than the Optima. Those are the major eCCR's as MK15's are really a different class and of course I'm leaving out all mCCR's as they simply are different rebreathers. Robert, thank you for your report! 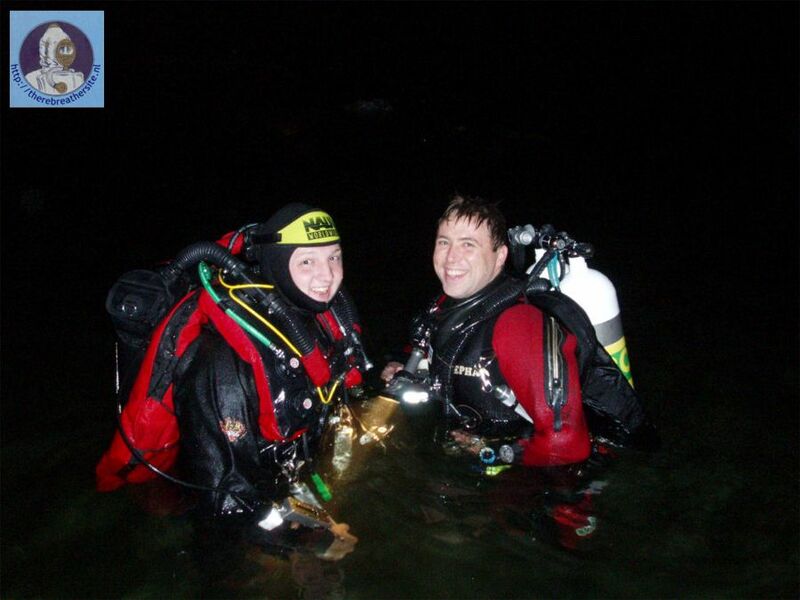 Robert van der Meer reports about the first Dutch Optima dive. The rebreather was shown in an earlier review here. Please enjoy the article written by Robert.